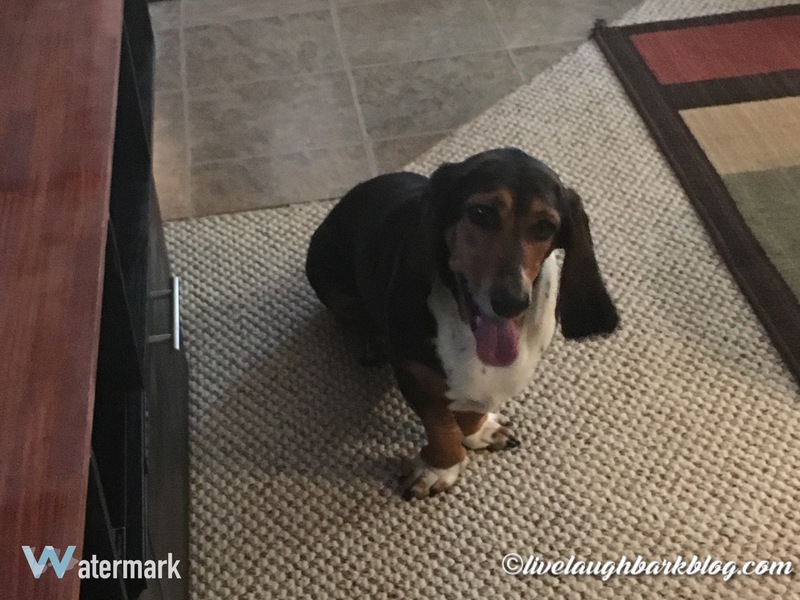 Buggy | Live Laugh Bark(at everything)! So my basset hound is addicted to this laser light toy for cats ( another reason to add to the list of why I think she is part cat!). It isn’t anything fancy just a little red laser light pointer which we have nicknamed “buggy”. She is so obsessed with it she can hear us clicking the switch on from anywhere in the house. As soon as she hears it she comes running out and gives you the “you have my favorite toy out, we must play now” look. She will literally chase this thing around for hours! 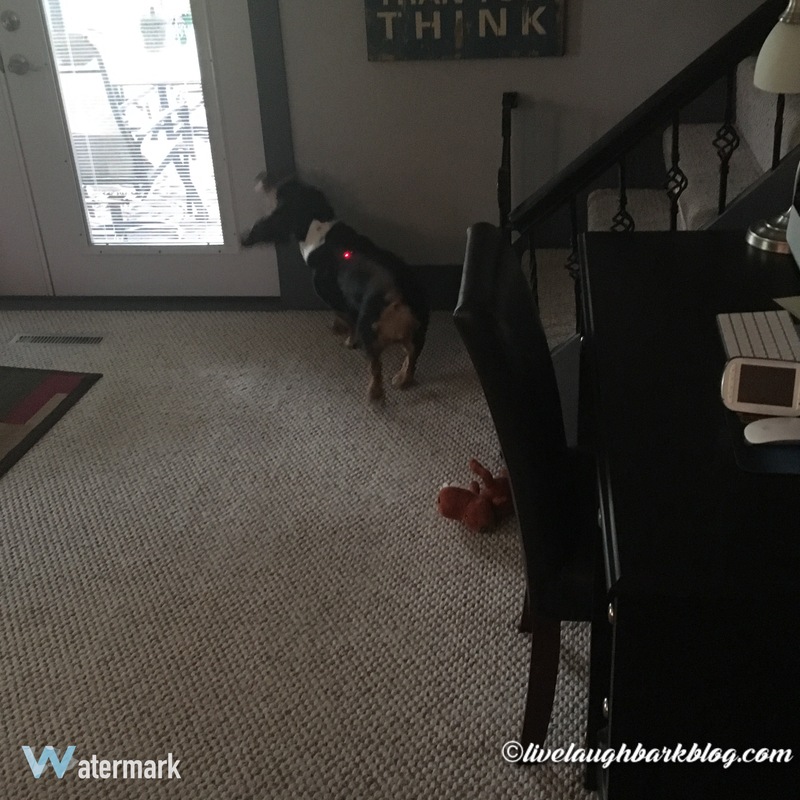 Sometimes she gets a pattern going and runs in front of it and looks around for it barking her head off. 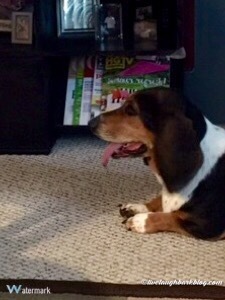 She will do this over and over until her tongue almost reaches the floor! why did you stop the buggy mom? who me, I am not tired…bring buggy back!! She will do this until my we finally go to bed. Needless to say we only bring buggy out occasionally for special occasions! Do your pets have any weird toys they just love? ← Happy Floppy Ear Friday! !